For Now, Fed Will Stand Firm On Bond Buying : The Two-Way The Federal Reserve says it needs more evidence of a sustained recovery before halting or tapering off its bond-buying program. 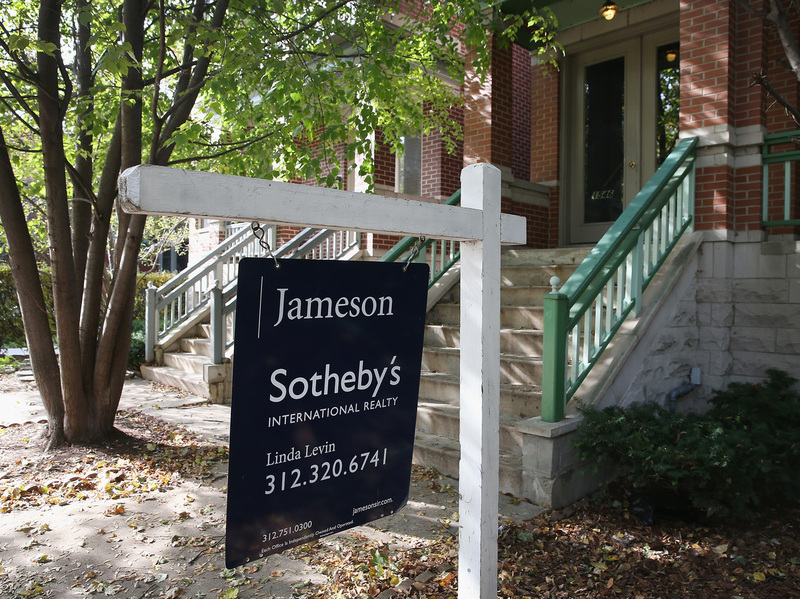 The Fed pointed to a somewhat weaker housing market in recent months. The Federal Reserve's message, at least for now, is to take a wait-and-see approach to the economy before tapering off on its bond-buying program. In a statement issued after Wednesday's meeting, the Federal Open Market Committee said that while it has seen signs of "growing underlying strength in the broader economy" it awaits "more evidence that progress can be sustained." As a result, the FOMC says it has "decided to continue purchasing additional agency mortgage-backed securities at a pace of $40 billion per month and longer-term Treasury securities at a pace of $45 billion per month." The committee said it would keep the federal funds rate at 0 to 1/4 percent for now and anticipates keeping it there "at least as long as the unemployment rate remains above 6.5 percent" and inflation holds steady. NPR's Neal Carruth points out a subtle but important difference from last month's statement, when the Fed said the housing sector was strengthening. On Wednesday, it changed it's tune slightly, saying, "the recovery in the housing sector slowed somewhat in recent months." Stocks fell in volatile trading after the announcement. "The Fed again noted that budget policies in Washington have restrained growth, but it made no mention of the 16-day government shutdown. However, the Fed no longer expressed concerns about higher mortgage rates, a concern it flagged in September. "The Fed's policy decision was approved on a 9-1 vote with Esther George, the president of the Kansas City Federal Reserve Bank, dissenting as she has done at each of the central bank's seven meetings this year."